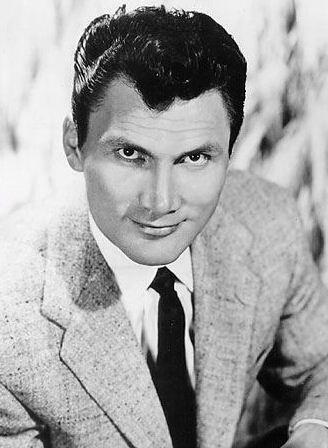 Academy-Award winning actor Jack Palance died today of natural causes at his home in Montecito, California. He was 87. Palance is best know for his roles as the “craggy-faced menace” in Sudden Fear and Shane. But it is his self-parody in 1991’s City Slicker, that won him an Academy Award at the age of 70. “When Palance accepted his Oscar for best supporting actor he delighted viewers of the 1992 Academy Awards by dropping to the stage and performing one-armed push-ups to demonstrate his physical prowess. That year’s Oscar host, Billy Crystal, turned the moment into a running joke, making increasingly outlandish remarks about Palance’s accomplishments throughout the show. It was a magic moment that epitomized the actor’s 40 years in films. Always the iconoclast, Palance had scorned most of his movie roles. Read complete New York Times obituary here. Palance made his film debut in 1950’s Panic in the Streets which was followed by two Academy Award nominated performances for Sudden Fear and Shane. 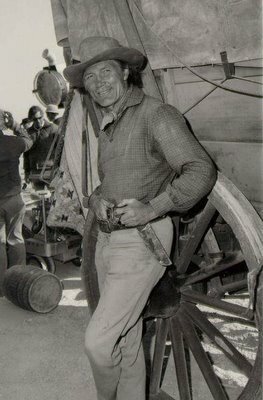 His role in the classic Western Shane, cemented Palance’s reputation as an on-screen menace. Palance retained a distance from mainstream Hollywood throughout his career. “The Big Knife” is a terrific movie. Written by Clifford Odets, directed by Robert Aldrich, its about backstabbing at the top of the Hollywood ladder.